Feet tired from the historic walking tour you took around Monroeville, AL? 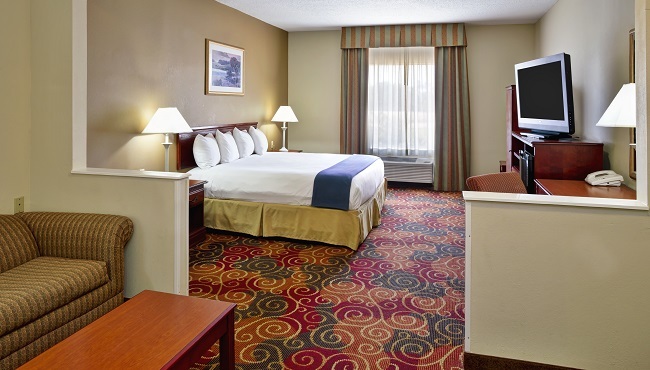 Kick back on the plush bedding at the Country Inn & Suites, which offers spacious rooms and suites with perks like free Wi-Fi. Find a movie on the 42-inch television, pop popcorn in the microwave and settle in for a night of family fun. In the morning, start your day with a fresh cup of coffee as you browse the headlines of the free weekday newspaper. 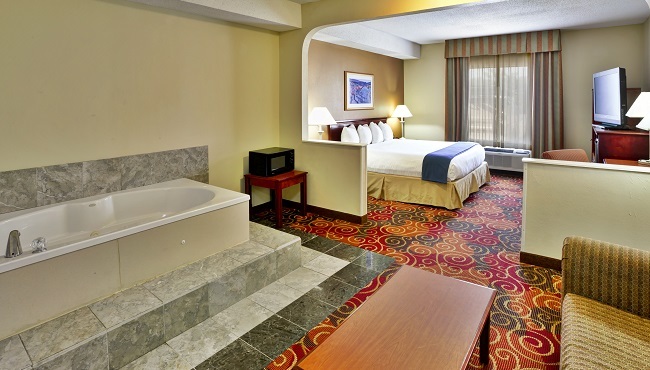 If you’re looking for a romantic option, reserve a Whirlpool Suite, featuring a whirlpool and added living space. Rest easy in a guest room with your choice of a king bed or two queen beds. All standard amenities like free Wi-Fi, a microwave, a refrigerator, and coffee and tea facilities are included. Our spacious King Studio Suites provide a king bed and a separate living area with a sleeper sofa. All standard amenities are included. Planning a romantic getaway? 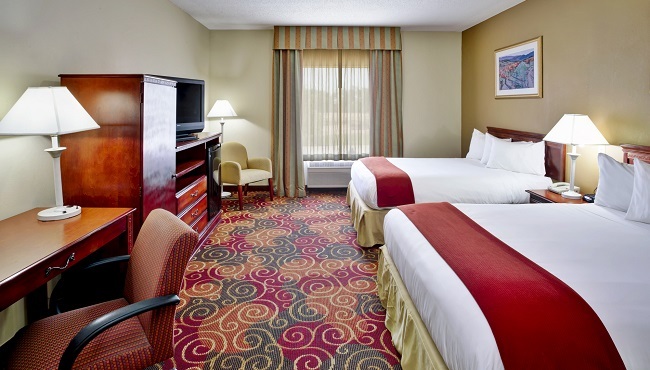 Book a Whirlpool Suite to enjoy a king bed, a living area with a sleeper sofa and an in-room whirlpool.